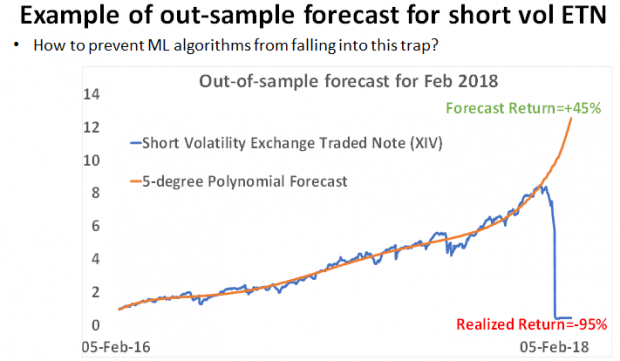 Exchange traded products with the short exposure to the implied volatility of the S&P 500 index have been proliferating prior to “Volatility Black Monday” on the 5th of February 2018. 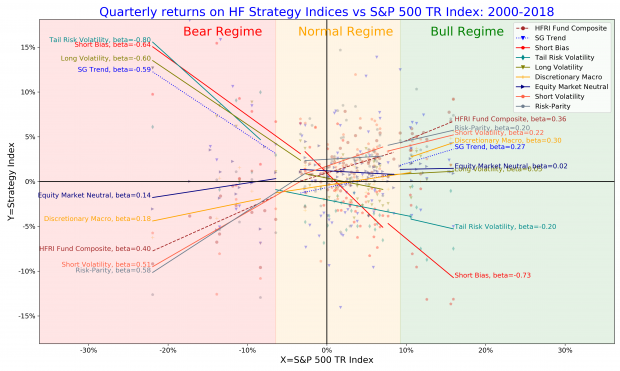 To investigate the crash of short volatility products, I will analyse the intraday risk of these products to steep intraday declines in the S&P 500 index. As a result, I will demonstrate that these products have been poorly designed from the beginning having too strong sensitivity to a margin call on a short notice. In fact, I estimate that the empirical probability of such a margin call has been high. 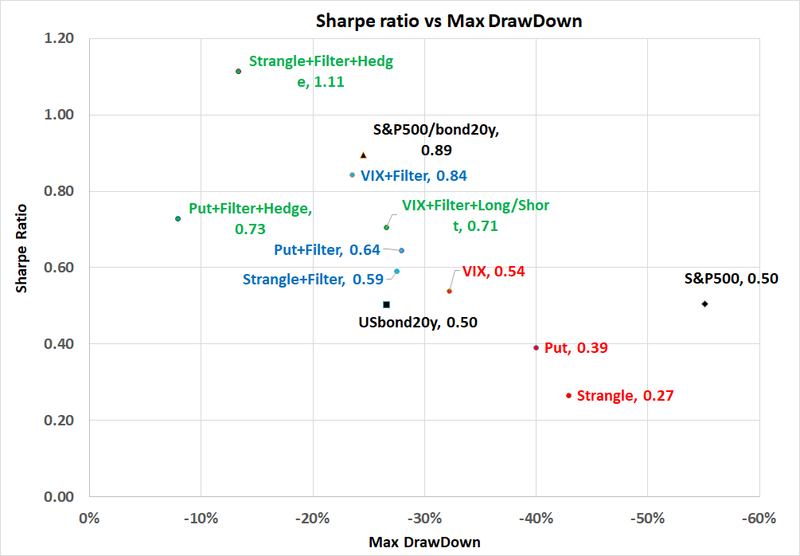 To understand the performance of product with the short exposure to the VIX, I will make an interesting connection between the short volatility strategy and leveraged strategies in the S&P 500 index and investment grade bonds. 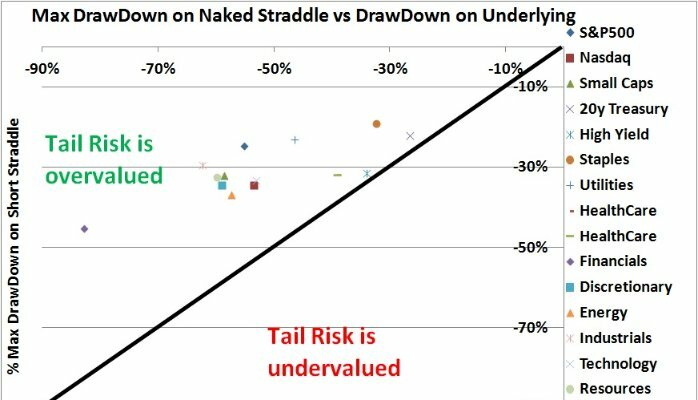 Finally, I will discuss some ways to reduce the drawdown risk of short volatility products. Exchange traded products (ETPs) for investing in volatility may not be appropriate for retail investors because, to deliver the lasting performance in the long-term, these products need risk controls and dynamic rebalancing to avoid steep drawdowns and to optimise the carry costs from the VIX futures curve. 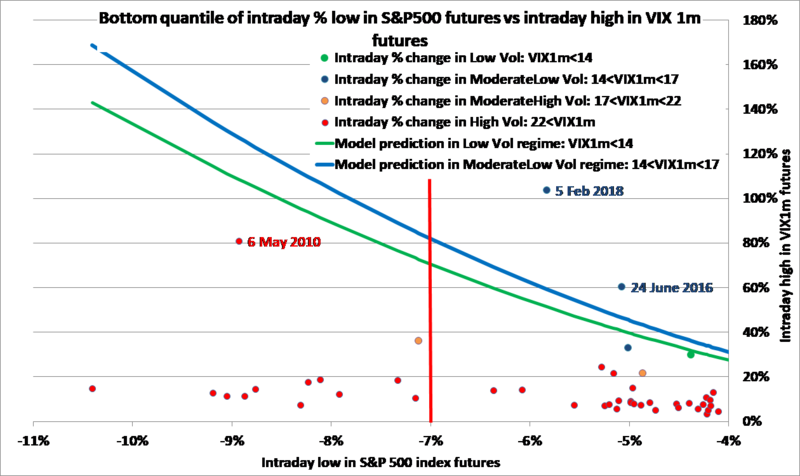 The convexity of VIX changes and the sensitivity of changes in the VIX futures to changes in the S&P 500 index is extremely high in regimes with low and moderate levels of the implied volatility. 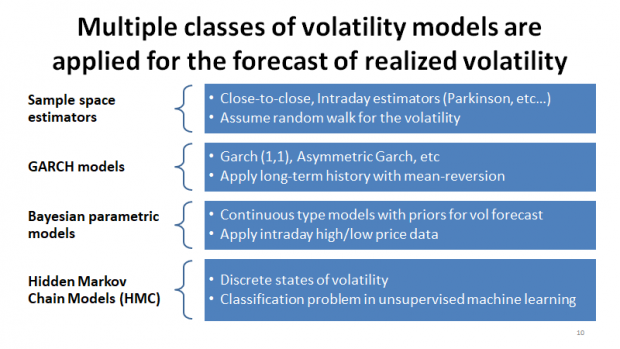 As a result, a margin call on short volatility ETPs is more likely to occur in periods with low to medium volatility rather than in periods with high volatility. Without proper risk-control on the notional exposure, ETPs with the short VIX exposure are too sensitive to the intraday margin calls on a very short notice. Empirically, in the regimes with medium volatility, an intraday decline of 7% in the S&P 500 index is expected lead to 80-100% spike in the VIX futures and, as a result, to margin calls for short volatility ETPs. 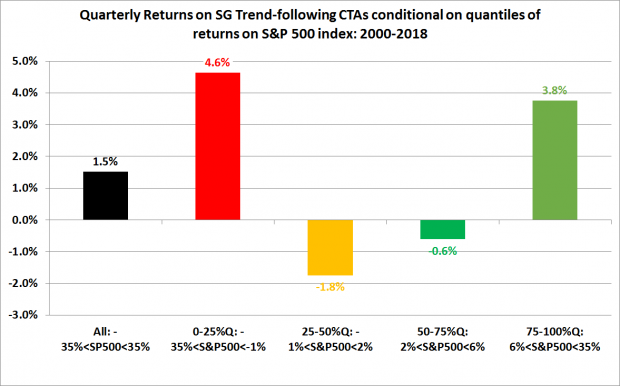 Short volatility ETNs provide with a leveraged beta exposure to the performance of the S&P 500 index, there is no alpha in these strategies. 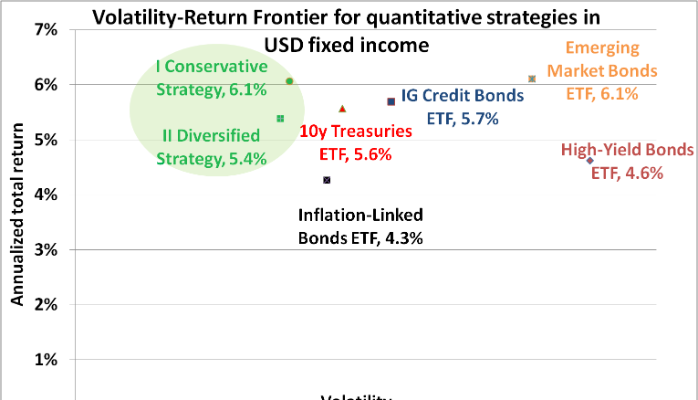 This leveraged exposure can be replicated using either S&P 500 index with leverage of 4.2 to 1 or with investment grade bonds with leverage of 9.6 to 1. 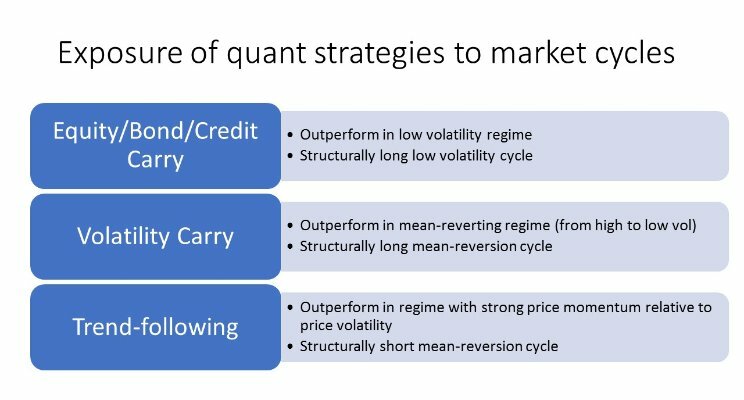 All these strategies perform similarly well in a bull market accompanied by a small realized volatility and significant roll yields, yet these leveraged strategies are subject to a margin call on daily basis.